The easiest way to visit Hainan is by air. 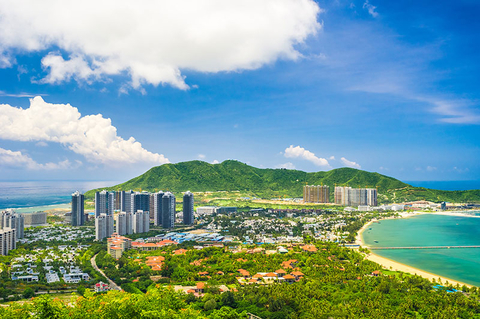 Domestic flights from across China fly to Haikou Meilan International Airport and Sanya Phoenix International Airport, but only a few international flights from Southeast Asia fly directly to the island. Sanya Phoenix International Airport, however, receive charter flights and seasonal flights from Europe and Russia as well. Other options are car, bus, and train which are all loaded onto a ferry. Taxi and public bus are the main city transportation when you are on the island. If you want to get across to another city, high-speed train will take you from Haikou to Sanya in just 1.5 hours. Located in the most southern part of China, Hainan is the smallest provincein China but the second largest island if you consider Taiwan as a part of China. The 2 important cities in Hainan are on the opposite side of the island. Haikou, the capital, in the north is the political, economic, cultural and transportation center of the whole province while the souther city of Sanya is the hot destination for tourism. Over 7 million people populate the island with Han as the dominating ethnic group while the rest are from 37 indigenous ethnic minorities. The rich traditional cultures of Hainan have been well preserved, which diversify the charming culture of the island. In the past decade, the island has been making the name as the destination for holidaymakers and newlyweds thank to its soft white beach and magical tropical scenery, as well as intense government push for Hainan to become a leading tourist destination in the world. Famous attractions are Holiday Beach, Dongzhai Harbor Mangrove Natural Reserve Area, Dongjiao Coconut Plantation, Asian Dragon Bay and Wuzhizhou Island. 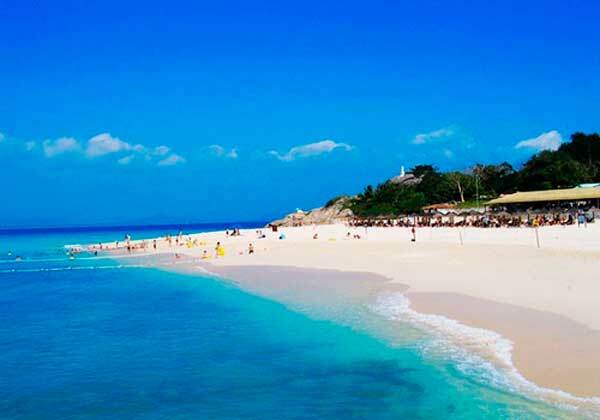 Just like Hawaii, Hainan is a tropical escape from the colder, more polluted Chinese cities in the mainland. The island used to be a backwater province for political exiles, but now it has turned into a magnet for city refugees looking for an escape from their chaotic city life. Eastern Hawaii is a good reputation for Hainan because it’s virtually on the same latitude as Hawaii, it’s a part of an economic powerhouse, and it has a mild temperature all year round. While the northern cities like Beijing freezes during winter, locals and tourists in Hainan enjoys warm sunshine by the beach with temperature comfortably around 19 Celsius. Summer, on the other hand, can be quite hot with temperature reaching 35-39 Celsius in August, the perfect time to go for a nice cooling dive! 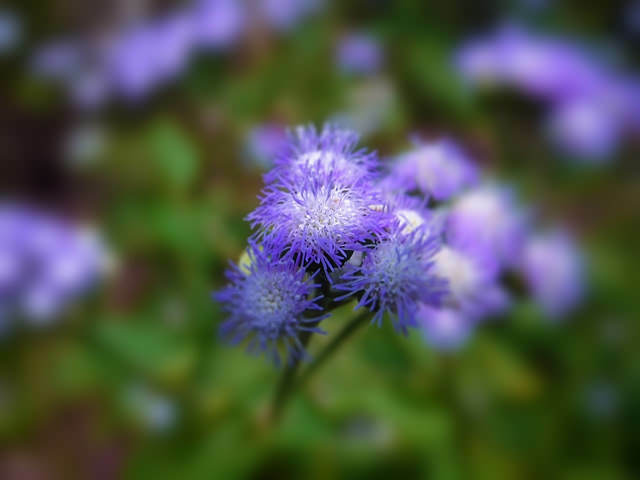 Explore the abundance of Hainan nature with rare floras and faunas. National parks and nature reserves spread across the island to preserve the fundamental charm of Hainan. Green tourism is booming at Dongshan Mountain Range, Jianfengling National Forest Park and it is even more exciting in Yanoda Rainforest as they allow tourists to embrace the nature and have fun at the same time. Hainan island escape doesn’t have to be all about the beach and the sea. Pockets of hidden hot springs dotted the southern part of the island and they are another great and healthy way to relax in Hainan. Although there are a couple hot springs not far from Sanya, Qixianling Mountain Hot Spring and Forest Park in Baoting Li and Miao Ethnic Group Autonomous County is where you ought to be. The county is home to several luxurious hot spring resorts, including international hotel chains, which offer a hot spring experience amidst stunning mountainous landscape. You might have already seen the iconic Guan Yin Buddha statue on a manmade island out in the sea when you land in Sanya airport. 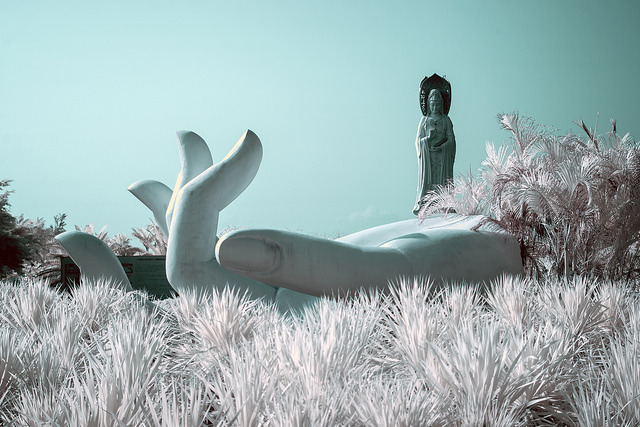 The giant statue is a part of Nanshan Buddhism Cultural Park, the largest Buddhism cultural attraction in China. The park is amazingly 3 themed parks put together on 50 km2 of lush landscape and sea. The Buddhism Culture Park a window on China’s traditional Buddhism culture where you’ll find the 108 meters tall Guan Yin statue and another 3.8 meters tall Guan Yin statue crafted out of gold, diamonds, jades, and precious stones. Next to the Buddhism Cultural Park are Blessing and Longevity Park and Hainan Custom Culture Park, showcasing the essense of Chinese culture and the customs of Li and Miaoethnic minorities. Located just 20 km from haikou, Hainan Volcanic Park is the first and best preserved volcano-themed national park. The volcanoes are now dead and you can safety venture into the craters and volcanic caves. Just take your time to explore different variety of volcanos,vegetation, birds, and hot springs. How about spending a day making a difference during your vacation? 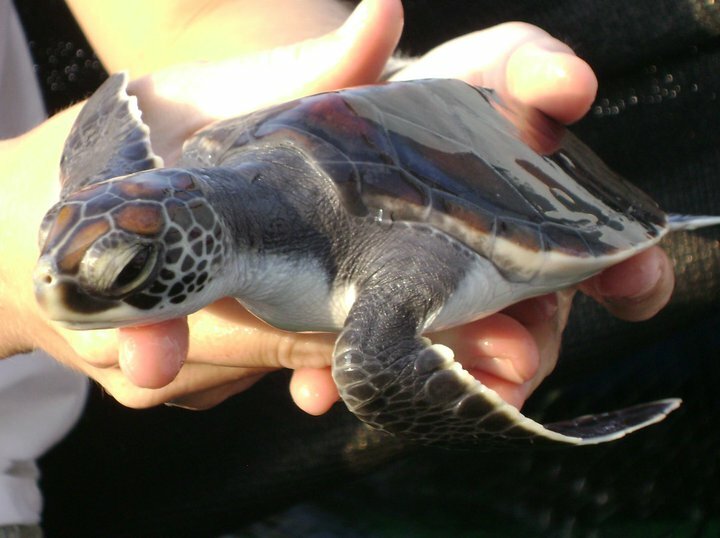 Sea Turtle 911 offers an educational experience and a meaningful time during your stay in Hainan. Learn about the endangered turtles and the effort to conserve them. Be a volunteer for a day and get a hand-on experience in feeding sea turtles, tabling to raise public awareness, cleaning up beaches, helping with medical treatments of injured sea turtles, and releasing sea turtles back to the ocean. It’ll be a memory that last a lifetime! If a romantic and secluded getaway is what you seek, Wuzhizhou Islet will be the perfect answer. The islet is just 30 minutes from Yalong Bay, but it feels like a world away from civilization. The islet is encircled with lush mountain and surrounded by crystal clear water with visibility as deep as 27 meters. By day Wuzhizhou Islet is the watersport and diving paradise, but as the last boat leave, the islet becomes a paradise for lovers and honeymooners. 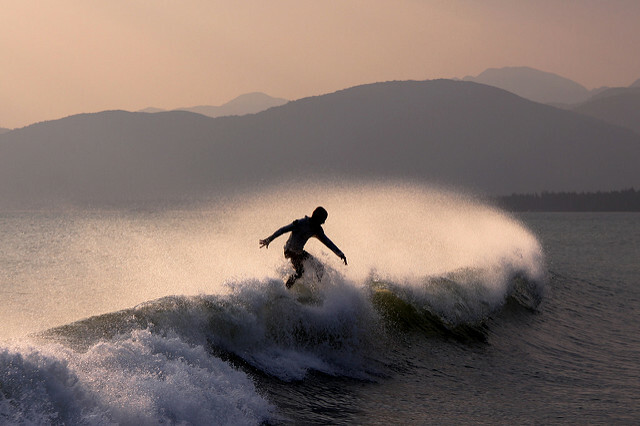 Riyue Bay is the upcoming surfer paradise as Hainan progresses on as one of the world’s leading tourist destinations. The bay offers challenges for all level, from experienced surfers searching for an awesome break to beginners looking to learn surfing 101. Sanya Bay may not be as pristine as Yalong Bay, but it’s certainly the liveliest. The beach stretches over 20 km. along a seaside road and just a short drive from Sanya city. Here, you’ll have a chance to observe local Hainanese in their free-time. Besides, Sanya Bay is grander with glamorous coco trees and gorgeous views of the East Island and the West Island! The highlight of Dongshan lamb is the ingredient itself. The lambs are raised on the slope of Dongshan Peak in Wanning city which provide a unique diet of Lingzhi mushrooms and Zhegu tea for these lambs. The result is a very nutritious meat without the strong lamb smell which is served tender and soft after being stewed, roasted, or braised. Hainanese knows best how to produce quality ingredient and Wenquan goose is a strong example of their expertise. Wenquan goose obtains its taste and character through a hybrid raising stage. The geese are ranged freely to consume a wide range of grass grown in the area and then fatten with bran and silage. The meat is nutritious, fatty but not greasy, delicate, aromatic, delicious, and perfect for any dish! 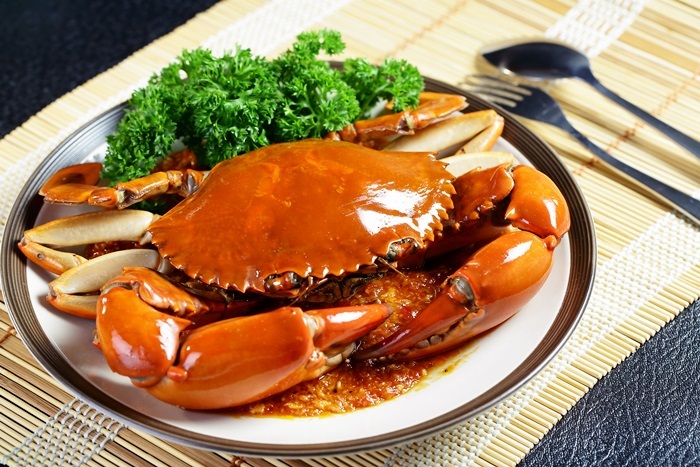 One of the four most famous dishes in Hainan cuisine, Hele crab originated from Hele Town in southeastern shores of Hainan. The yellow meat of the crab has a unique oily texture and a strong aroma which goes extremely well with ginger and garlic in vinegar after being steamed. Hainan International Coconut Festival might sound strange, but it all makes sense when you know that Hainan was once known as “Coconut Island”. Hold in late March to early April, the festival is a large-scale international comprehensive commerce and culture festival that is open to all people. The streets will be filled with diverse display of coconut lamps, coconut products, and fresh coconut, so just go coconut and enjoy the festival! Sanyuesan Festival is the largest traditional festival of the Li and Miao minorities in Hainan. On the third day of the third lunar month, young boys and girls gather on this special day to express their love through singing and dancing. The 2 days event is a great time to experience Li and Miao brocade weaving and embroidery competition, folk performances, traditional ethnic athletic competition and ethnic food. Tangla Hotel Sanya embraces the spirit of the mountains and rivers, to ceaselessly deliver man’s inspiration and hunger for life, energy and nature, providing peace, tranquillity, relax and the regeneration of mind and body. 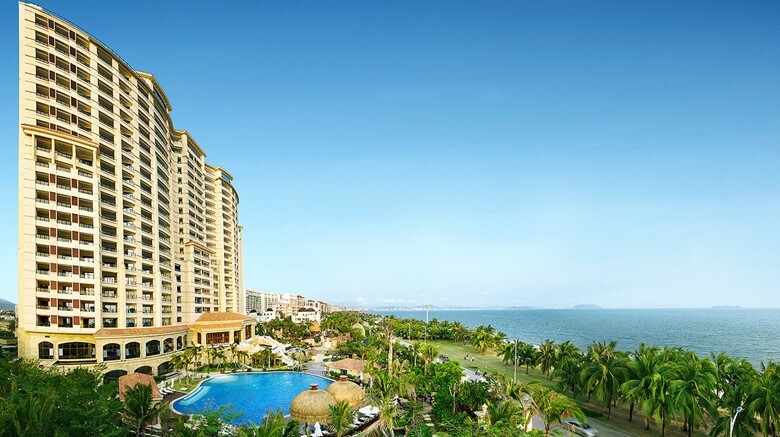 The Tangla Hotel Sanya is located in Sanya Bay, Hainan Island, overlooking its stunning 600m sandy beach and palms, close to the downtown of Sanya City with convenient access to all popular local attractions and only 20 minutes drive from Sanya Phoenix International Airport. 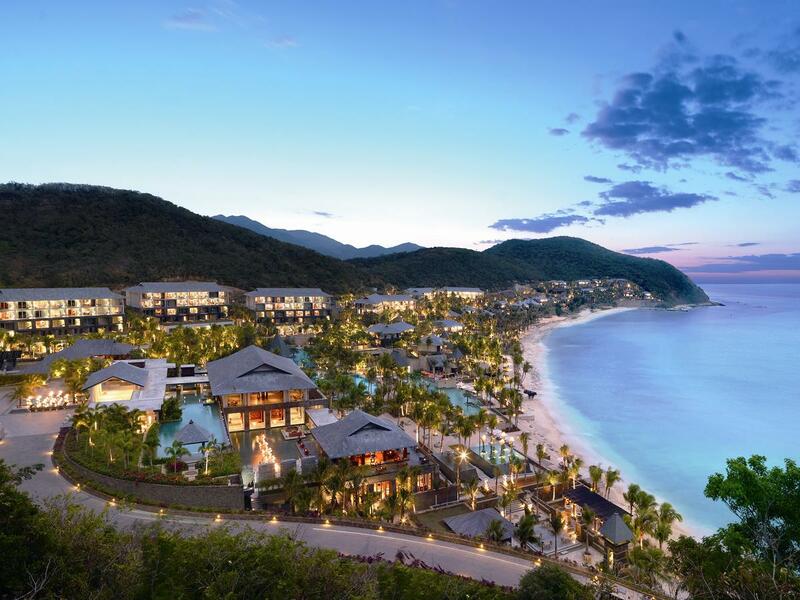 Situated in Yalong Bay National Resort District, St. Regis Sanya Yalong Bay Resort exceeds all expectation for luxury hotel. It has almost 1 km. of beachfront and easily accessible to prime attractions including retail shopping area, Luhuitou Park and Wuzhizhou Island Diving Area. Floor-to-ceiling glass windows offer scenic view of Yalong Bay in the hotel’s exquisite suites and villas that redefined luxury. Apart from astonishing beachfront and the exceptional accommodation, extraordinary services bespeak its true value with knowledgeable and committed team of attentive butlers for continuous 24/7 services. 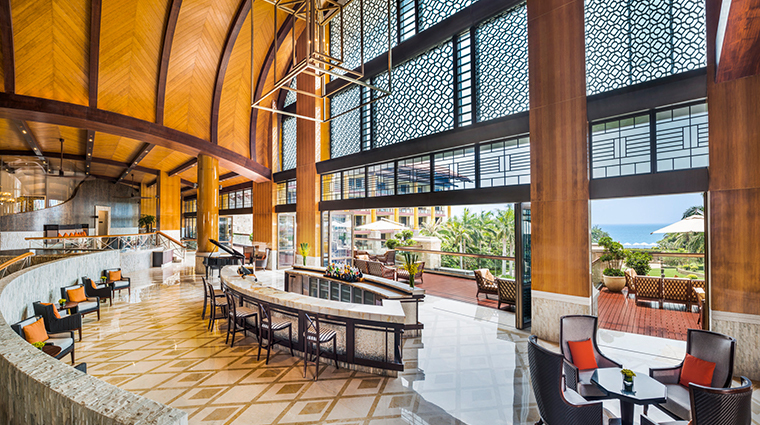 Paradise awaits on the southern shore of Hainan. Mandarin Oriental Sanya occupies 12 hectares of tropical garden overlooking the resort’s private Coral Beach and South China Sea. The accommodations combines contemporary design with ethnic touches and they are woven into the landscape amid the gardens — the rooms and suites in low-rise buildings with balconies, the villas and pavilions in freestanding stone buildings along the beach or perched on the hillside.Whether it’s romance on your mind, or a family trip with the kids, there’s an endless array of things to do, meals to savor, and cozy places to nap in the sun. The resort is within a close proximity to world class golf courses, shopping area, and cultural attractions.